This week was slow but we got here soon enough! I’ve felt quite tired due to not sleeping well this week (Monday was strange, Tuesday was down to a certain whiskerface. Thank you, Rasputin! Thursday consisted of lying in bed for 2 hours willing my brain to switch off) but todayis Friday and that means that it’s almost the weekend. So, I’m happy! Wednesday was made infinitely better by my little blog being nominated for an award! 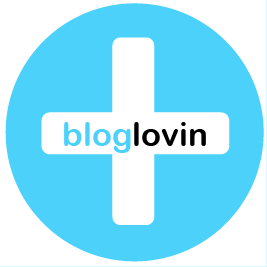 A thousand thankyou’s to Mel for nominating me for a One Lovely Blog Award, I was so chuffed! 1. I have a boyfriend called Trout and a cat called Rasputin. Trout and I have been together for 10 years (♥) and Rasputin will turn 4 in November. 2. I’ve been vegan for almost 7 years and I was vegetarian for 6 years before that. 3. I’ve been writing paperbagblog since June 2011, and before this I wrote Artichoke Zine which I began in January 2009. I’ve met so many wonderful people through blogging and twitter, through both accounts & blogs – people who I genuinely consider as good friends and who have helped me so much over the past few years. 4. I have 8 piercings (2 sets of ear piercings, tragus, rook, conch and tongue), 1 stretched ear and no tattoos. 5. I’ve held a tarantula and didn’t freak out! Before they put him in my hand they told me that if I dropped him from the height of my hand it would kill him instantly – so I knew that I couldn’t freak out. It was actually quite fun, and very different to a household spider (which I HATE!). 6. At the end of the month I have my 27th birthday. My best friend Laia is coming to visit, my family are coming down to Brighton for a meal and then the next day I’m going out for a roast dinner with friends. At the end of that week Trout and I are going to see The Flatliners (my 2nd favourite band) in Kingston (my 2nd favourite city) and then the next day we are flying to New York (!!!) where we will be for 5 days, before flying to LA (!!!) and driving around California for 2 weeks. I am so unbelievably excited! 7. I love coffee, red wine (sigh), houmous, pizza, chocolate raisins, Trek bars, seitan, broccoli, salad, roasted chickpeas, water, greek food, sweet potatoes, pa amb tomaquet, pepsi max, black cherry focaccia, roast dinners, indian food and strawberry pencils. ♥ Laura at Keeping Healthy Getting Stylish, for always inspiring me – whether it’s with her food, fashion, saving pennies, DIY or socca-related recipes! ♥ Nicky at Kabocha Fashionista, for introducing me to roasted chickpeas (♥), sending me delicious food parcels, always being around for a chat and generally being awesome! ♥ Jenny at Doolallytat, for making amazing jewellery and accessories, which she generously donates in times of tea-party crisis and general ring-lust! ♥ Jo-Jo at Vegan in Brighton, for writing my go-to guide on Brighton, London, Europe and America – so many useful entries and information on where to eat, what to eat and must-have sights and visits! ♥ Jenn at Peas and Crayons, for hosting WIAW and inspiring me every week! I’m so happy I started taking part in the weekly food parties, and have discovered so many blogs through it! ♥ Antonia at Health Inspirations, for having such beautiful photography, delicious looking food and for writing inspiring entries! ♥ Rach at Vanilla Sugar, for baking all the things that Trout nags me (and her!) to bake, for introducing me to Cheezly straws and for conjuring up fantastic recipes and meals for us! ♥ Lyzi at Being Little, for being so beautiful, creative and inspring. Her outfit posts are brilliant, as well as her recipes, creative pieces and lovely photographs! 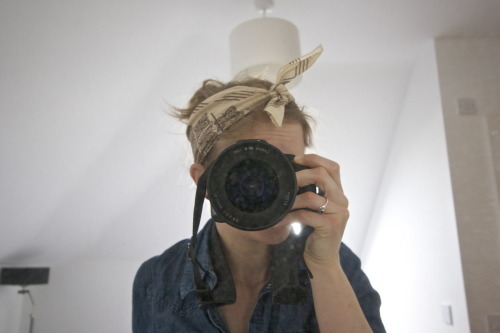 ♥ Kate from Curiosity Kate, for her beautiful photographs, love of simple food, smiles, Nigel Slater, books, cycling and gardening. ♥ Lucie at Visionary Dreams, for her stunning photography, beautiful food and inspiring words! Her heart is full and she sees the world through the eyes of someone filled with creativity, inspiration and interest. ♥ Mitsu and Sasha at To Happy Vegans, for their brilliant blog packed with information, recipes, ideas, advice, tips and tricks on all things vegan! They also organise the UK Vegan Food Swap, which I’m already hooked on! ♥ Naomi at Rockstar Diaries, for constantly inspiring me with her beautiful photographs, adorable children and wonderful family! Make sure you guys check out all of these fantastic blogs, and hopefully they will inspire you as much as they have me. I hope you have all had a great week and are looking forward to the weekend! What do you have planned? Whats the problem with loving red wine ;) ? There’s no problem with red wine, I love it! Just can’t really drink at the moment, and I miss sharing a nice bottle of red with Trout! I know what you mean – I made a deal with my mum not to drink alcohol for the next month (she has some serious weight/health issues) and yesterday my bf had some beer and I some root beer, instead of our usual bottle of red wine. I do miss it, but not enough to buy a bottle of non-alcoholic wine haha. I admire you for holding a tarantula, there is literally no way I could ever do that. You are such a superstar – thankyou so much for this youve totally made my day! Your 27th birthday sounds like its going to be massive – I cant wait for updates on the goings on! I would love to meet up!! We’ll be back in Brighton on the 23rd (but quite sleepy….!!) when are you coming down?? I’m so jealous of your trip to America, you are are going to have the most amazing time! I am excited to check out your blog recommendations hon. And every time I read you talking about them I think I HAVE to have roast chickpeas in my life! I’m cracking the Dreena book out this week and making a batch up!!! You’ve got to buy roasted chickpeas from Holland & Barrett – they’re really crunchy and yum! Well Herbivore was probably my favourite – I think they have a couple of locations in San Fran – everything is vegan, there’s a massive menu and they sold prosecco too! We shared a veg platter starter which was incredible!! Also, if you venture out of SF at all, we went to LYFE in Palo Alto which wasn’t completely vegan but had vegan menus for EVERYTHING and it was all incredibly fresh and I was introduced to gardein there which basically pisses all over quorn ;-) Enjoy and I will head to H&B this week!!! !